Do you think being first is important? When it comes to selling homes for more I can assure you it does. Featured Homes on REALTOR.com® are seen 500% more often3, on average and this increased exposure can translate into potentially greater demand for your home and help it sell for more. I am pleased to be one of the few REALTORS® in MORRISTOWN, NJ utilizing the most powerful online real estate marketing program in America – the Featured Homes™ Marketing System on the #1 real estate site, REALTOR.com® 1. When potential home buyers search for homes for sale on REALTOR.com® they will also see your home prominently displayed first with a full color photo at the top of the page on AOL and MSN. You can now benefit from this enhanced presence on REALTOR.com®, where your home will stand out to more than 6.6 million individuals each month. 2 Couple this with the fact that home buyers and sellers spent 82% of the time they spent searching for a home online on REALTOR.com®1, and it’s easy to see the powerful impact my Featured Home™ spot can have for your home. Featured Homes helps give your home the competitive advantage. The #1 Online Real Estate site on the web just got better! With over 52% of homebuyers looking online for their next home and 14 times as many unique users as the next largest competitor; REALTOR.com® is the best avenue to capture potential home buyers. Now you can give your home top billing by reserving a space at the beginning of the search criteria page along the "Find a Home" search path. Featured Homes advertising ensures your home is shown first, to the largest aggregated audience of home buyers. 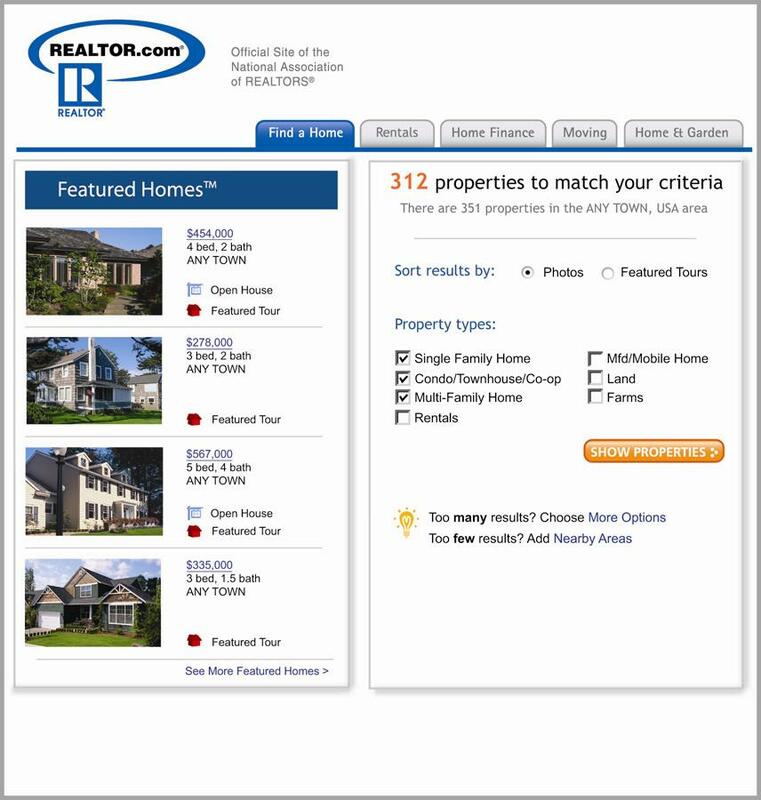 When potential home buyers search REALTOR.com®'s Web site in your city & state, they see your c properties prominently displayed with full color photos at the top of the page -- before they see most any other homes in your area. This is just one of the key ways I leverage recent changes in home buyer online behavior to get your home the maximum exposure it deserves when you are ready to sell. I would be delighted to meet with you in person to demonstrate how I can use the REALTOR.com® Featured Homes™ Marketing System and WEICHERT REALTORS’S expert marketing resources to powerfully market your home.